My name is Bryan, I have 3 years experience in Hotels. Currently I am a Front Desk Manager at Hotel Indigo in New York, U.S.A. which is part of the Intercontinental brand hotel groups. I am looking to manage a Hostel, Currently I do hold a work & travel visa for New Zealand. But I am willing to travel anywhere. Prime starting time for me would be August 2018, but if you would prefer me to start earlier, then I can certently work my schedule around it. Here is my brief intro below. The Hostel industry is not only a place I see myself succeeding in, but also a place I see myself fulfilling my dreams in. I have traveled to plenty of far areas around the world and have lived and worked alongside an ample amount of cultures, to learn only how well I get along with everyone. I am a very outgoing person with great charisma and can handle any hard situation, and turn it into the most satisfactory outcome. I chose to be in this industry because I love to be around other fellow travelers, to show them how to enjoy themselves, to help them when they are unsatisfied, and show them that a bad situation can easily be turned into a good one. 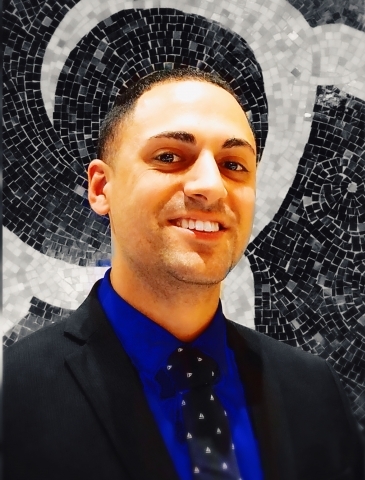 After having started working at Hotel Indigo Long Island-East End in New York in 2016, I have been promoted three times, and am now the Front Desk Manager for the Hotel. I have gained a much more vast perspective of how to handle and not handle situations. If it has to do with billing, guest request, or an irritated guest, every situation has its do’s and don’ts. For example, it can be little things like not properly setting up a wakeup call for a guest, that can ruin the whole guest day and experience at a hotel. Communication is the key to success, no matter how small or how big the place of establishment is, it will never succeed without communication. When I lived in Oxford, England I worked at The Funky Hostel which is how my love for this line of work started. The Hostel wasn’t small, but short staffed, so by working there as a Guest Service Agent, I didn’t just work the front desk, I also fixed beds, did laundry, I repainted and designed rooms, bartended. I helped in every way possible. The one thing that taught me, was that working not just with a team but as part of a team means a lot. I would be more then happy to bring that feeling of a team over to a new place of establishment. For this would be an experience of a lifetime for me.